Before you go on any safari vacation to Africa make sure that you have the correct travel adapter with you before you leave home. When traveling you will be surprised how quickly the batteries of a camera will be used up, and how much we rely on having access to electricity. Getting access to an adapter that suits you while traveling will be next to impossible once you are traveling. Most safari lodges will have one to borrow should you need, but it is always best to have your own. Below is a list of countries and the adapters you will need for each of them. 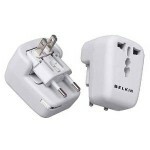 If you are looking to buy a travel adapter plug for Africa, we recommend the Belkin F8E449 Universal AC Travel Adapter which you can purchase from Amazon by clicking here. Please note that there is no fully universal plug available for Africa, but this one is the closest to covering plug options you will need. If our readers have success with other adapters, please share it with us. Below is a short description of the electric plugs for countries in Southern and Eastern Africa. Botswana: Electric plug M, 230V, 50Hz. Electric plug G (but rare). Traveling to Botswana we recommend you that you have an electrical plug M. Electric plug M is technically known as BS 546 (South African 15 A/250 V). It has been adopted as the standard plug in South Africa. 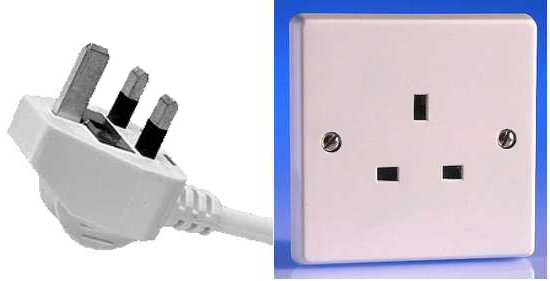 The Type G electrical plug is the British three-pin but is rarely found in use in Botswana. Kenya: Electric plug G 240V 50Hz. Traveling to Kenya you will need to use electric travel adapter G also know as the standard British 3-pin rectangular blade plug or the “13-amp plug”. Malawi: Electrical plug G. 230V and 50Hz. Safari Travelers traveling to Malawi should make sure that they have electrical plug G. The Type G plug is commonly known as the 13-amp plug, and technically known as the BS 1363 (British 13 A/230-240 V 50 Hz earthed and fused). Mauritius: Electrical plug C & G, 230V and 50Hz. Mauritius travelers will need to ensure that they have either or both type C & G plugs. Type C plug is commonly known as the Europlug and is technically known as the CEE 7/16 (Europlug 2.5 A/250 V unearthed). The Type G plug is commonly known as the 13-amp plug, and technically known as the BS 1363 (British 13 A/230-240 V 50 Hz earthed and fused). Mozambique: Electrical plug C, F & M. 220V and 50Hz. With your travels planned to Mozambique, you want to make sure you know where about you are going in Mozambique to ensure you choose the right plug(s). Type C plug is commonly known as the Europlug and is technically known as the CEE 7/16 (Europlug 2.5 A/250 V unearthed). Type F plug is also known as the “Schuko” plug in German. The Type M plug is found especially near the border with South Africa, including the capital, Maputo. The M plug is technically known as BS 546 (South African 15 A/250 V). Namibia: Electric plug M 220v 50Hz. Safari travelers going to Namibia need to use electric travel adapter M which is the same for South Africa. Seychelles: Electrical plug G, 240V and 50Hz. When traveling to Seychelles, the Type G plug is used. It is commonly known as the 13-amp plug, and technically known as the BS 1363 (British 13 A/230-240 V 50 Hz earthed and fused) or the standard British 3-pin plug. South Africa: Electric plug M 220/230V 50Hz. In some areas plug C & G.
Tanzania: Electric plugs D & G 230V 50Hz. Traveling to Tanzania you will need to bring both the electric travel adapter D and G. Electric plug D has the official name BS 546 (5 A/250 V earthed). 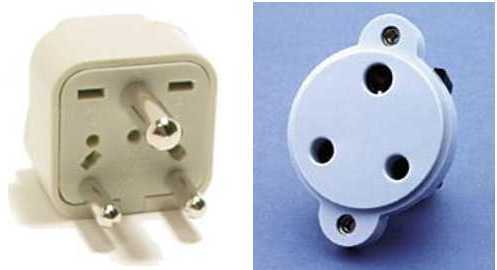 This plug is commonly used in countries colonized by the British. Plug G was also known as the standard British 3-pin rectangular blade plug or the “13-amp plug”. The official name is BS 1363 (British 13 A/230-240 V 50 Hz earthed and fused). Zambia: Electric plugs C, D & G 230V 50Hz. Going on safari in Zambia we recommend you to bring all of the above electrical travel adapters. 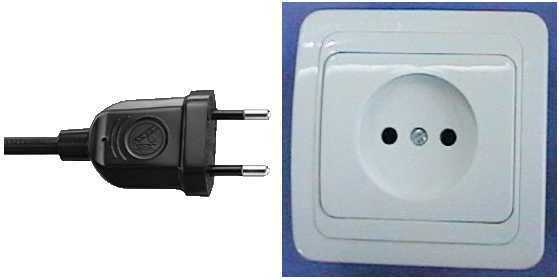 Electric plug C is commonly known as the “Europlug” but the official name is CEE 7/16 (Europlug 2.5 A/250 V unearthed). This plug is used throughout continental Europe, the Middle East and much of Africa, South America, former Soviet countries and Central Asia. Zimbabwe: Electrical plug D & G. 220V and 50Hz. When traveling to Zimbabwe, they use plug D & G. The technical name for the Type D plug and receptacle is the BS 546 (5 A/250 V earthed). It is also known as the Old British Plug. The Type G plug is commonly known as the 13-amp plug, and technically known as the BS 1363 (British 13 A/230-240 V 50 Hz earthed and fused). If you want to read up more about African power outlets on Wikipedia click here.